Stephanie Harvey Consulting is an educational consulting firm that provides literacy staff development to teachers, schools and districts around the world. We specialize in school and district-based professional development, with an emphasis on reading and writing instruction in grades PreKindergarten through 12. The foundational work of Stephanie Harvey Consulting focuses on teaching for understanding. Teaching kids reading and thinking strategies to enhance their literacy development and move them to be independent, engaged, spirited, lifelong readers, writers, thinkers and learners is our primary goal. Helping teachers reach that goal is our most important mission. Check out the newest resource from Stephanie Harvey and Annie Ward, published by Scholastic! When it comes to readers who need the most support, teachers can't afford to waste time using fragmented, skill-and-drill interventions that don't work. Literacy specialists Stephanie Harvey and Annie Ward demonstrate how to "table the labels" and use detailed formative assessments to craft targeted, personalized instrtuction that enable striving readers to do what they need above all -- to find books they love and engage in voluminous reading. Loaded with ready-to-go lessons, routines, and "actions," as well as the latest research, this book is a must for any teacher who strives to makes every reader a thriving reader. In this new edition of their groundbreaking book STRATEGIES THAT WORK, Stephanie Harvey and Anne Goudvis share the work and thinking they've done since the second edition came out a decade ago, and offer new perspectives on how to explicitly teach thinking strategies so that strudents become engaged, thoughtful, independent readers. Originally developed in 2005, updated Second Editions of the Primary and Intermediate TOOLKITS were published in 2016. 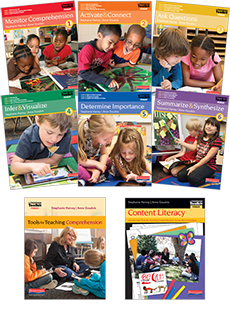 The Comprehension Toolkit series presents an active literacy learning framework that grounds students in the nonfiction reading and thinking strategies that they will need throughout school and onto college and careers. The series is designed to take kids' thoughts, ideas, and opinions seriously. 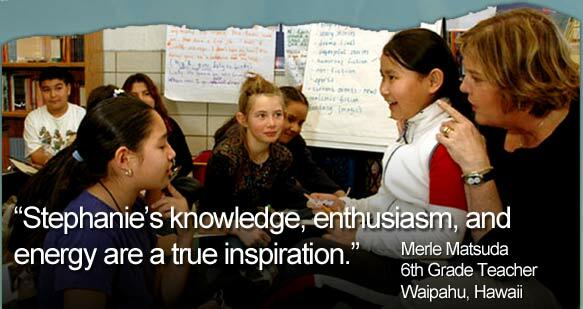 The lessons and instruction intentionally engages kids and guides them as they grapple with the information and concepts they encounter in school, particularly as they read informational text.